Fidelity investments takes the lead to launch FutureStage—a national arts education program: The national performing arts education initiative FutureStage, created by Fidelity Investments, has touched more than 30,000 students representing 195 public schools nationwide. The program has partnered with some of the world’s most recognized orchestras­—including the Boston Pops, Chicago Symphony Orchestra, Houston Symphony and Los Angeles Philharmonic—providing unique educational opportunities for students to explore and expand their interests in music. Jamie Foxx with Kids from Renaissance Arts Academy. 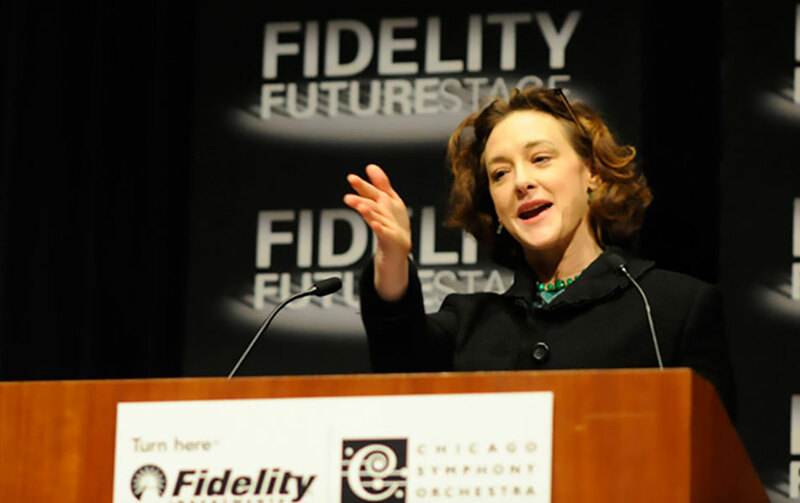 Actress Joan Cusack in Chicago. 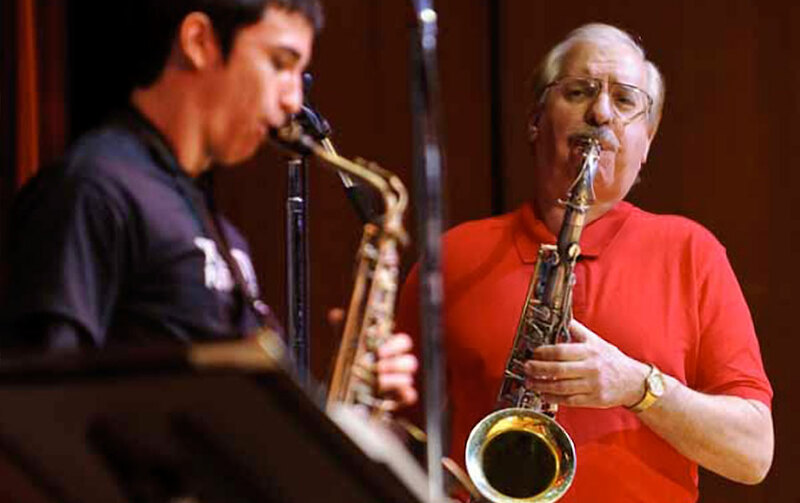 Student with Saxophonist Larry Slezak of the Houston Symphony Orchestra. 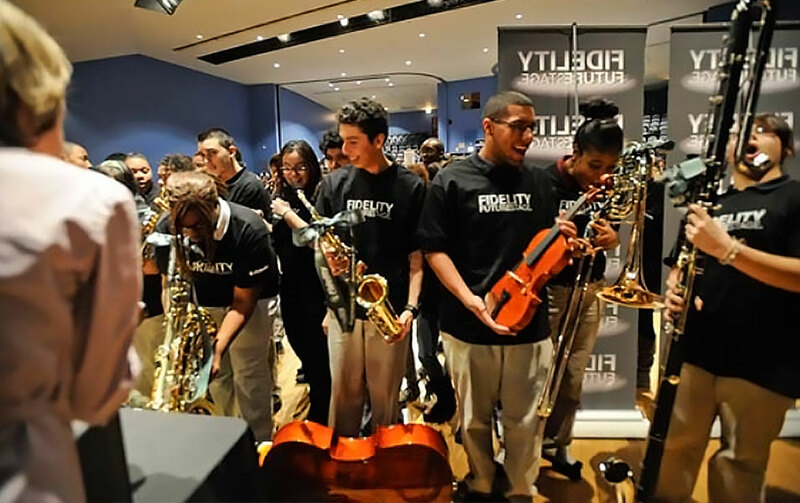 With the goal to make a national impact on arts education, Fidelity’s FutureStage team chose to expand its regionally focused program into one of national scope, with a music competition and larger network of partner schools across the country. Elizabeth Hinckley of DefCult designed the communications strategy and national launch event, partnering with DefCult event collaborators Wayne Baruch and Chuck Gayton, Mr. Holland’s Opus, and the four symphony organizations. The national event launch included a four-city simulcast celebration from Walt Disney Concert Hall, Boston’s Symphony Hall, Houston Symphony’s Jones Hall and Chicago. 1,500 high school students were connected via satellite across the different venues, visible to each other on large onstage projection screens. 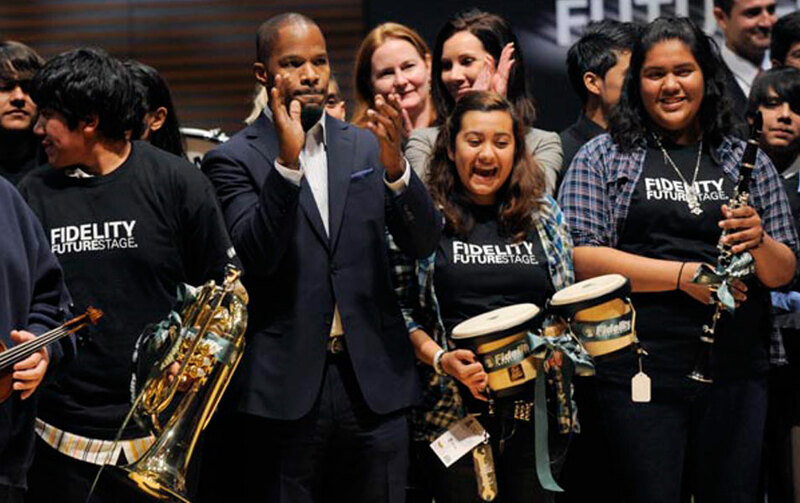 Artist participants included actors Jamie Foxx, Dominic Monaghan, and Joan Cusack and musicians including Boston Pops Conductor Keith Lockhart and members from the orchestra, Houston Pops Conductor Michael Krejewski, pop group Airborne Toxic Event and numerous student ensembles. Peter Cieszko, president of Fidelity Investments Institutional Services Company, opened the celebration from Symphony Hall in Boston as he welcomed the entire simulcast audience. “Fidelity FutureStage was created to support arts education programs in our public schools and invest in the future of our students by providing opportunities to participate, experience and benefit from the arts, both in and out of the classroom,” said Mr. Cieszko. 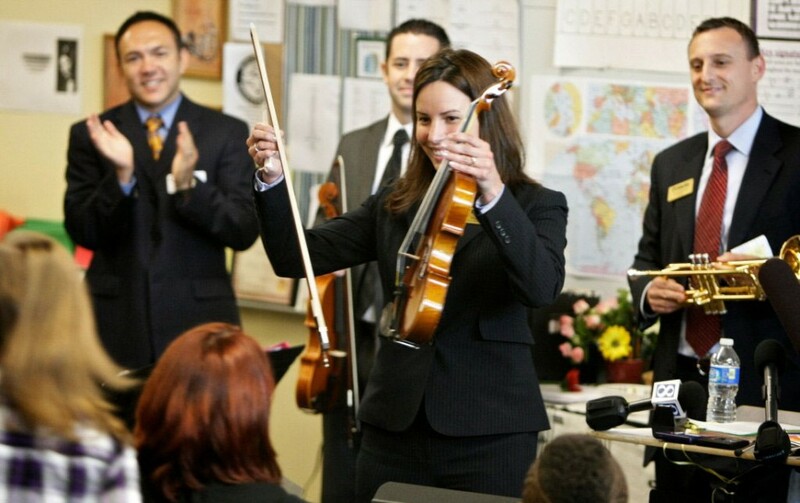 The event culminated in the announcement of a surprise donation of $500,000 worth of instruments for the assembled students and affiliated schools. The national program launch received unprecedented media coverage for Fidelity, significant positive brand awareness nationwide, and throughout the company as staff watched the live event. Following the event, new branches asked to participate in the instrument donations for local schools, continuing the program’s momentum and positive goodwill for the company. To read more about the national launch of Fidelity FutureStage, see Huffington Post’s coverage here. Fidelity FutureStage was created to support arts education programs in our public schools and invest in the future of our students by providing opportunities to participate, experience and benefit from the arts, both in and out of the classroom.